What I don't understand is these people who complain about no SD card slot or battery replace capabilities and call the phone junk but praise the iPhone. Is the iPhone not the same way. how he hell u activate phone with one hand? u can do it only with power button and it placed the most longest way from your thumb. I get it today and gone take it back tomorrow or so, because its so uncomfortable to turn on sreen. I actually need for this manouver two hands, thats soo annoiing! Nice styling...but no external memory card slot sadly makes this a non starter. zooz, 12 Feb 2012I have a se xperia arc s n here is a xperia s!! I want to buy this phone too!! There ll b a xp... morethen you seem to be the luckiest guy in the world..ha ha..lol! I have a se xperia arc s n here is a xperia s!! I want to buy this phone too!! There ll b a xperia s in my right hand n a xperia arc s in my left! Truly amazing!! Sony has been always the best company at CES. 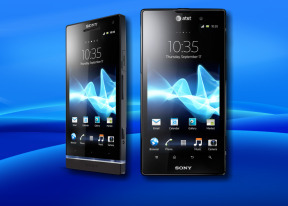 any idea when will they release the Xperia S? its so gorgeous and classy and i want one! I might lose my mind if Xperia S, HTC Edge, and SGS3 will be launched at the same month or quarter, cant decide! Its time for a new era with sony..
Sony, move on to the top!!!!!! In the 4th pic i see the 3 android icons on the back too..
these phones better come with unlocked bootloaders coz if they dont..I know alot of people wont buy them .. so SE..if you're listening..NO LOCKED BOOTLOADERS FROM NOW ON!!!!PLS! !